In the beginning God spoke the Universe into being. “And God said, ‘Let there be light, and there was light…'” (Genesis 1). Words are powerful – once spoken they’re out in the open and there’s no way you can make them disappear. Some people can be really nasty and mean but if you believe that the nasty words spoken to you are true, you will make them come true. It’s a self-fulfilling prophecy. 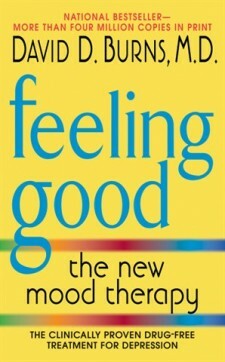 However you can also choose to reject those words as untrue and not let them take away your dreams. This prestigious award was recently given to Britain’s Sir John Gurdon and the Japanese Scientist Dr Shinya Yamanaka for their groundbreaking work in stem-cell research. 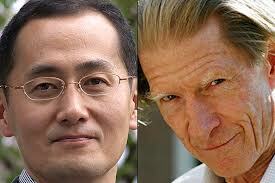 What really fascinated me was Gurdon’s story of his school experience. Gurdon proved that teachers don’t always know the truth! Gurdon’s schoolboy ambition was to become a scientist. There is power in the spoken word and that year, Gurdon scored the lowest mark for biology in his year at Eton. “Out of 250 people, to come bottom of the bottom form is quite something, and in a way the most remarkable achievement I could have been said to make,” said Gurdon. 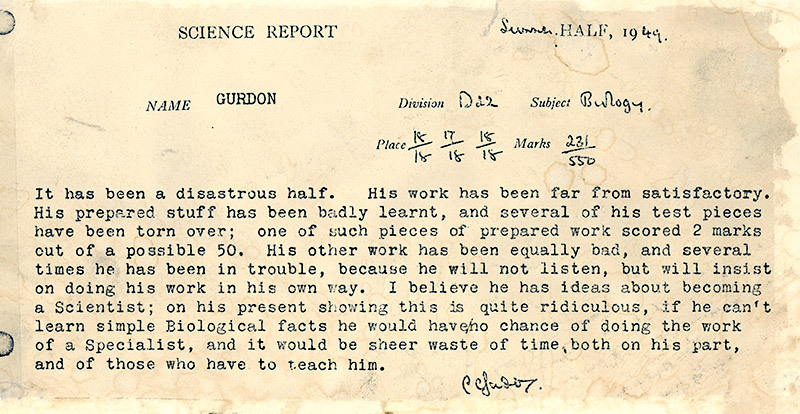 Gurdon framed the old school report which is now a browning scrap of paper as a reminder. It keeps him humble when an experiment doesn’t work out! What God speaks will come into being but … teachers and parents? No, not necessarily. Children often think adults are God-like and what they speak is the truth, but they’re not. They make mistakes and get things wrong. Can you think of some nasty or destructive things that were said to you as a child that still impact on your life? Time to throw them out and live the life that you are meant to live.